Much history abounds in this grand cottage built in 1906 and later expanded in 1924. 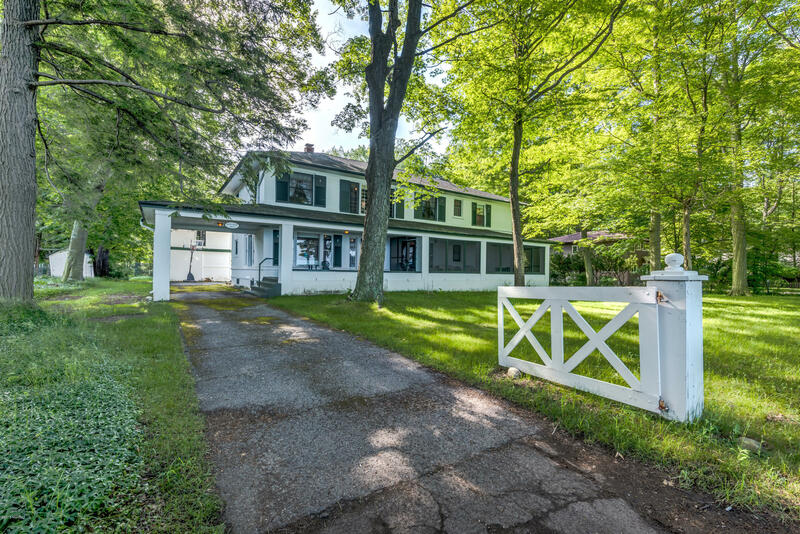 Prime location with 128-feet of Lake Michigan beachfront on a 2.9 acre parcel. The home contains much of it's original vintage character and charm including woodwork, built-ins and plumbing fixtures. There are 7 bedrooms, 1 on the main floor, 3 full baths, large living room with wood burning fireplace and a main floor family room. Huge lakeside screened porch for enjoying the lake views & breezes. 2 story garage/carriage house. Tremendous potential for rehab into a gorgeous lakefront estate or redevelopment. The back acreage could be split off into as many as 3 large lots fronting Peach Street with future city water/sewer extension. A rare opportunity.